Meyer Mechanical's goal is to provide the best products & services to our customers. We value our customer's opinions and we want to hear about your service! Meyer Mechanical values our customer's opinions and we want to hear about your service! 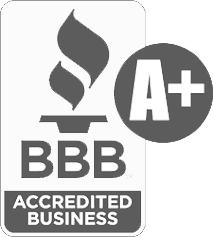 "Meyer Mechanical did an awesome job fixing my furnace. I have heat again! They were very professional and knowledgeable. They will definitely be my "go to" if I have a heating or air conditioning problem in the future. Thank you Meyer Mechanical!!!" "The person that sertviced my air system did a excellent job. I am well satisfied with his work. Very friendly person and helpful with the questions I had asked him." "I want to thank you for always meeting my expectations with your honesty, dependability, and excellent workmanship. Because of being a distant owner, I really appreciate you willing to co-ordinate the steam cleaning of the newer Goodman BTU unit over the kitchen of the Taste of India Restaurant..."
"This letter is written to express appreciation fo the first class work performed by Meyer Mechanical on two projects at our home - heating equipment in October 2011 and air conditioner in May 2012. 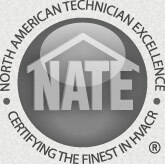 Back in August we interviewed four HVAC companies and...."
"I had Meyer Mechanical install a new central air conditioner and a new furnace in March of 2003. I am extremely pleased with the installation and the performance of both systems. The original furnace was 18 years old and the house did not have AC. Roger bid on the job and sized the system. he completed the job in two days and was very efficient and clean...."
"OUTSTANDING customer service. Their techs are first rate and truly are well trained and their office personnel is also 5 star across the board..."